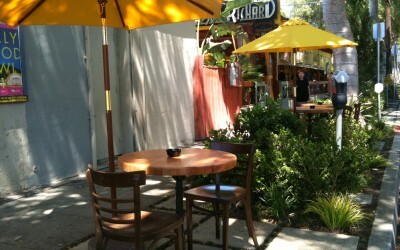 After 33 years, the formerly known Michel Richard Restaurant & Pastry Shop of Robertson has moved to a new location among the big green trees of Stanley and Melrose, near West Hollywood and Hollywood. 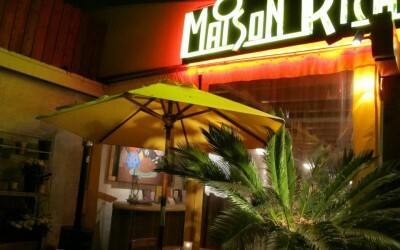 Maison Richard Café & French Bakery is our (and your) new “home”. We serve outstanding casual breakfast or brunch, lunch and dinner, along with a large selection of famous french bakeries and pastries, all freshly baked on location. With its modern rustic style and tropical plants, our large, bright and beautiful (covered) patio provides the perfect coastal vibe for you to relax at the fountain. If you don't have time to sit, worry not! We serve everything to go. Come savor our delicious breakfasts (served all day), deli appetizers, soups, quiches, salads, sandwiches, and desserts. 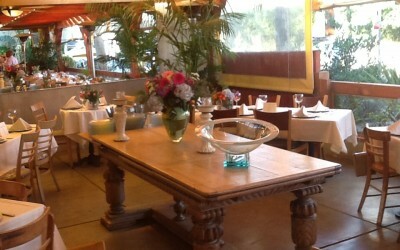 The patio is ideal for a business lunch meeting or a casual evening dinner, serving season specials. Indulges yourself with a fine pastry, and a coffee or a glass of wine, while watching the Melrose strip. Our bakery makes succulent cakes, authentic French pastries, petits fours (bite size pastries), rolls, breads, chocolates and cookies. 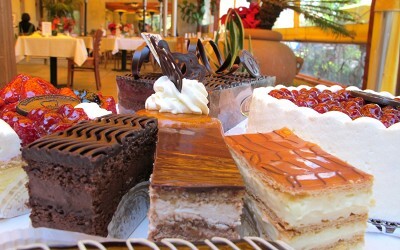 We carry a choice of 28 pastries, daily made on the premises with fresh and natural ingredients. We cater our products for all type of events, including birthdays, baby showers, corporate parties, engagements or weddings. From $50 and up, we’ll personalize the perfect gift baskets with the items of your choice, which can also include some of our gourmet foods and fine wines. Contact us with any bakery or catering needs.